Where is the review, I hear some of you asking. 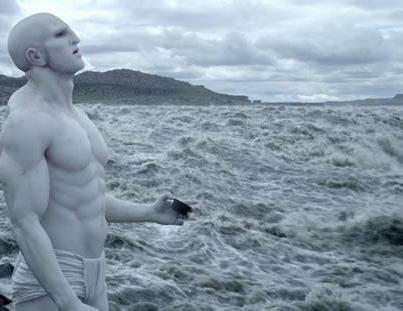 ‘Prometheus’ is going to be a different film for certain people. Those of you who have never seen one of the ‘Alien’ films will be confused to a lot of the story not knowing the mythos of this universe, and then some of you will have a great time with the film who have seen the original movies, but will be perplexed by some of the actions that take place during the film. 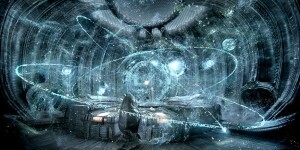 One aspect I really like about ‘Prometheus’ is that has brought the sci-fi genre back to main stream. For so long now, we have not had any decent sci-fi flicks that really capture an amazing new world that has been both visually beautiful and almost perfectly paced. Ridley Scott has been out of the sci-fi genre for quite some time now, and it is very welcoming to have in back in this genre that launched his career. The opening scene alone, when we see the first creature on a new planet was some of the best cinematography I have seen in a long time. The foreign planets were intelligently designed and were a bit scary too. Visually, ‘Prometheus’ is incredible. However, where I think the film falls flat on its face is with its characters. There were far too many characters in this film. Most of them only have a line or less of dialogue. It seemed like I was meeting new characters with 10 minutes left of the film. 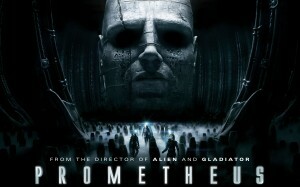 ‘Prometheus’ could have been a much better film if half of the character were cut out. Most of the characters did not add any plot advancement to the story and only seemed to make the film add minutes. By having too many characters, I didn’t get the time I needed with my main characters of the story, hence I didn’t care about any of them. So when it was their time to go, I had no emotion and was actually rotting for some of them to meet their grisly end due to their lack of likability. The characters seemed to be a jumbled mess, which hurt the dialogue of the film. Overall, this is one hell of a sci-fi film, even with it’s major flaws in the story and characters, ‘Prometheus’ has brought back the sci-fi genre in a big way. I’m already looking forward Scott’s ‘Blade Runner’ sequel. 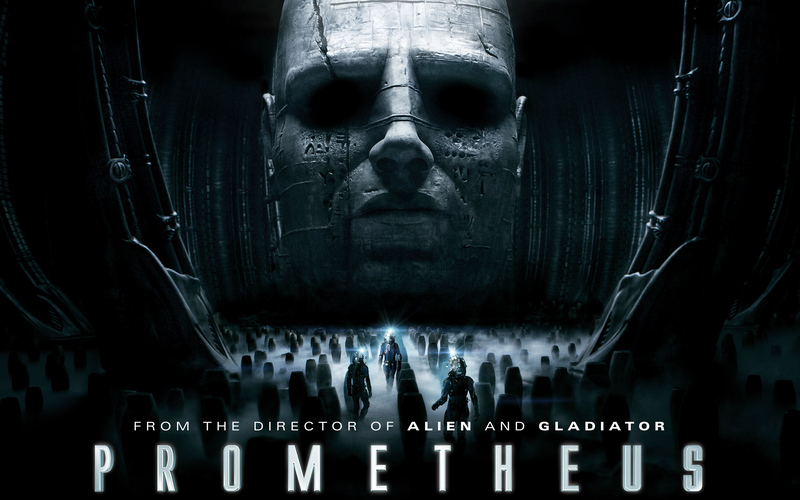 If you have been craving a great sci-fi flick, one that will bring your nostalgia and memories back from the late 70’s and early 80’s, then see ‘Prometheus’. Plus for any fan of the ‘Alien’ franchise, this is a must see, even if it has major flaws. This entry was posted on Thursday, June 14th, 2012 at 3:53 pm	and is filed under Film, News. You can follow any responses to this entry through the RSS 2.0 feed. You can skip to the end and leave a response. Pinging is currently not allowed. « Hasbro and Paramount Introduce The Godfather Based Monopoly Game!!! Buddy, I think you been spending too much time inhaling them cleaning products.